Do you go to your customers? Do your customers come to you? Do you deliver or ship to your customers? Quick checkins from every job give you local search value for every city and neighborhood, keyword value for everything you do, and a relevant media photo or video rankings boost. Great customer reviews at a 40% clip prove to prospects that you've delighted people near them, building a better-and-better overall reputation and a local reputation in the places that matter to you most. All the checkins and reviews boost local search rankings for your own site, driving more traffic and leads straight to you. 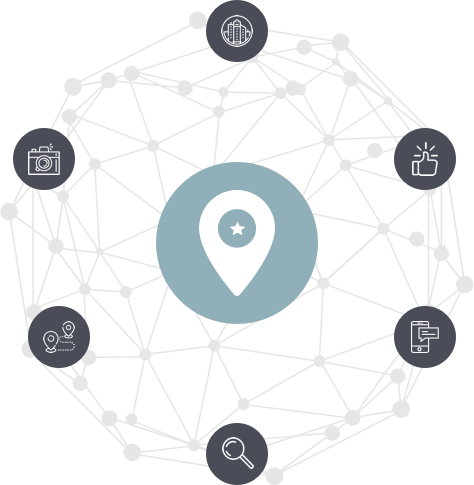 Quick checkins every time you serve a customer give you local search value for every city and neighborhood your customers come from, keyword value for everything you do, and a relevant media photo or video rankings boost. Quick checkins every time you deliver to a customer give you local search value for every city and neighborhood you service, keyword value for everything you deliver, and a relevant media photo or video rankings boost.